The natural beauty and diversity of this land and its people put American cuisine, spirituality, and romance on par with some of the best in the world. A land of immigrants, Americans learned long ago that the best way to stay in touch with the mother culture — long after the language fell away — was through cooking. This nostalgia and passion are as much a part of traditional recipes as their ingredients. 1. 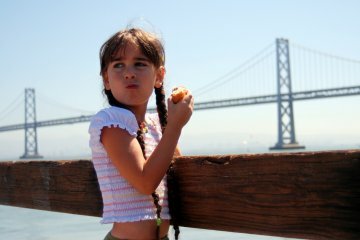 The San Francisco Bay Area is America’s culinary king. From Half Moon Bay to San Francisco and Berkeley to Sonoma and Napa and Marin Counties, this region leads in food and wine that’s locally and organically grown and artistically prepared. 2. For the best traditional cuisine mixed with riotous innovation, New Orleans is the place. This southern city flawlessly combines tradition with experimentation, and its people continue to define the joy of cooking, eating, and sharing a table. 3. Chicago, with its incredibly diverse population — from Eastern and Central Europe, to the circum-Mediterranean, to Latin America, to East Asia — is a foodie heaven. Here’s a city where you can find the best of the most unknown cuisines, such as a Serbian restaurant serving up traditional dishes that would pass muster back home. 4. 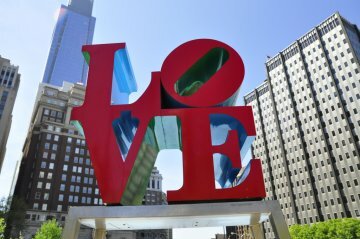 Philadelphia is as rich in American food and drink as it is in American history, especially considering its rise in recent years as a major restaurant town. Freshly feeding this trend is the hinterland of farms, forests, and fields in both Pennsylvania and New Jersey, the presence of European-styled daily markets like the Reading Terminal and Italian Markets, and the growth of urban community gardens. Philadelphia’s City Tavern served our founding fathers, and it can do the same for you. It’s still as exciting, broad, and spicy as it was in the 18th century, when far-flung ingredients were constantly coming through the city’s active international port on the Delaware River. 1. 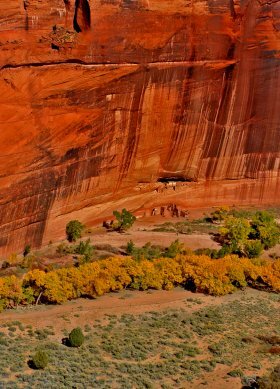 Canyon de Chelly in northeastern Arizona is among the longest continuously inhabited places in North America, to this day managed by the Navajo Nation in collaboration with the National Park Service. Canyon de Chelly is not only a national monument but also home to a Navajo community. 2. In 1872, Lakota shaman Black Elk identified the center of the universe in the Black Hills of the Dakotas — Okawita Paha, otherwise known as Harney Peak. His Great Vision preserved for us the awareness that this place as an immensely important sacred spot in North America. 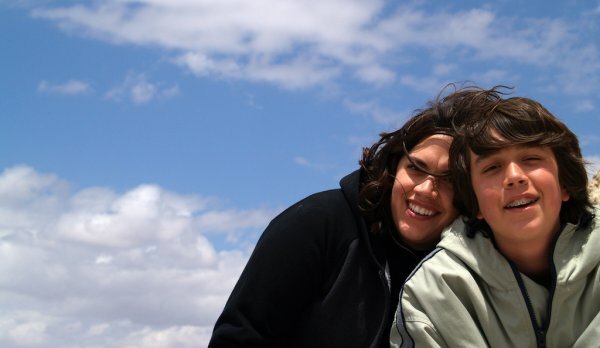 While much has changed in the region since then, Harney Peak and the Black Hills continue to possess the power to arrest us, to take us out of our ordinary selves, and to enable us to see our interconnectedness to each other and all life. 3. The Vedanta Temple in Montecito, California, occupies a strong, authentic sacred landscape in the mountains east of Santa Barbara. Throughout the years, the temple has maintained its peaceful atmosphere of meditation and spiritual practice, welcoming all. 4. 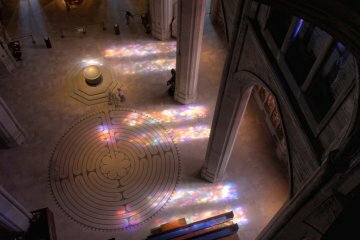 Grace Cathedral in San Francisco has an open, spiritually oriented attitude, plus the appeal of an indoor-outdoor labyrinth based on that of France’s Chartres Cathedral. It’s a terrific setting for a walking meditation, and visitors are respectful of each others’ desire for inner work and silence. More information is available on their website. Again, from can’t-look-away natural scenery to human-made getaways, America offers countless opportunities for hand-in-hand exploration. 1. Strolling Philadelphia’s expansive colonial neighborhood is like walking in old America and old Europe simultaneously. Filled with over three centuries of history — a marvel of antiquity for most American cities — Old City Philadelphia is full of gardens, walking paths, cobbled streets, old cemeteries, and great cafes and taverns. 2. Driving California’s Highway 1 from Half Moon Bay to Santa Cruz, you’ll pass through one of North America’s most romantic natural landscapes. This unique coastal expanse possesses wild vistas and nature parks, intimate towns and beach coves, all along a route where adventure is just around the bend. 3. The French Quarter of New Orleans will always hang onto that worn, Old World romance no matter what comes its way. From its colorful ambiance, to its great food and ale, to a sense of community connectedness, this is a great place to go with the one you love, or perhaps to find him or her during an authentic blues set in one of many small, local joints. 4. Another excellent romantic mini-roadtrip runs between the Hudson River Valley of New York and the Berkshires of western Massachusetts. The pace of life here is utterly different than that in the cities just hours away. From the road you’ll get vistas of mountains, forests, and rivers, while there are plenty of opportunities to stop and savor good local food, go for a romantic hike, and enjoy theater and live music in old-fashioned, small-scale venues. If you like the Eat, Pray, Love concept, you’ll want to check out Beebe’s guides to Morocco, Portugal, and Spain. Have your own favorite spot for a culinary, spiritual, or romantic getaway in the U.S.? Share it with Trips readers in the comments.